An enduring design that has stood the test of time! 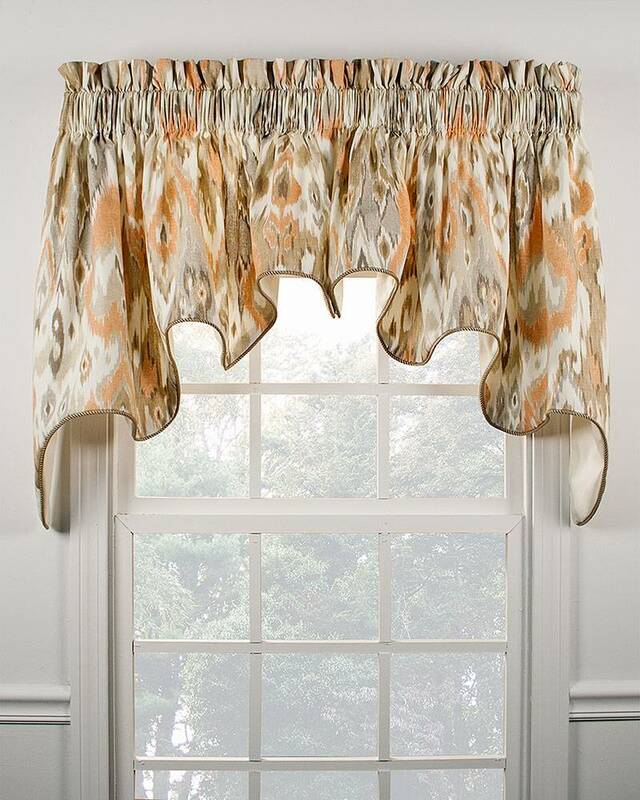 The Terlina Duchess Swag showcases an artfully updated multicolored Ikat pattern. Printed on 100% cotton, this beautifully constructed swag boast a twisted braid trim that frames and accents the gracefully scalloped bottom of the swag. Offered in two colors, this 2 piece swag is a generous 100" wide and will cover windows up to 60" in width. 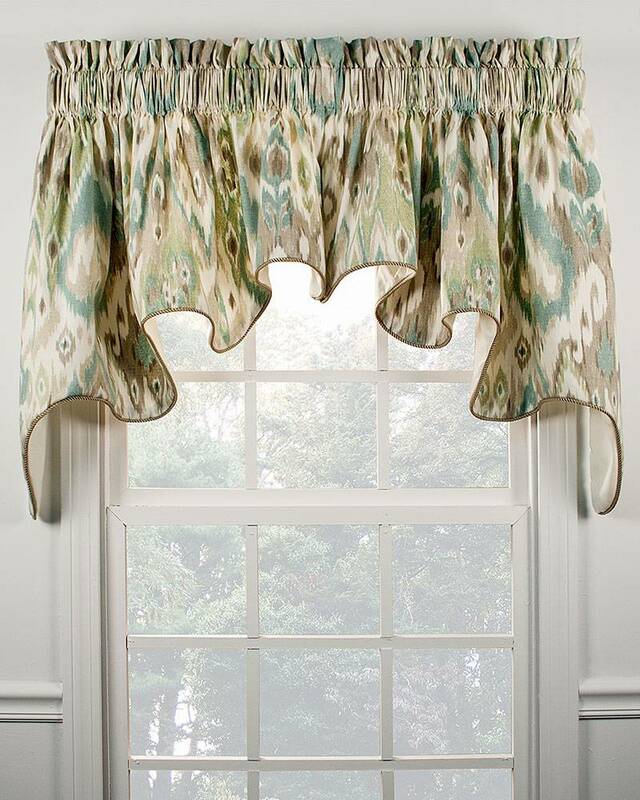 For wider windows, or to cover multiple windows being treated as a single window, insert Terlina Duchess Filler Valances (sold separately) between the left and right swag panels.